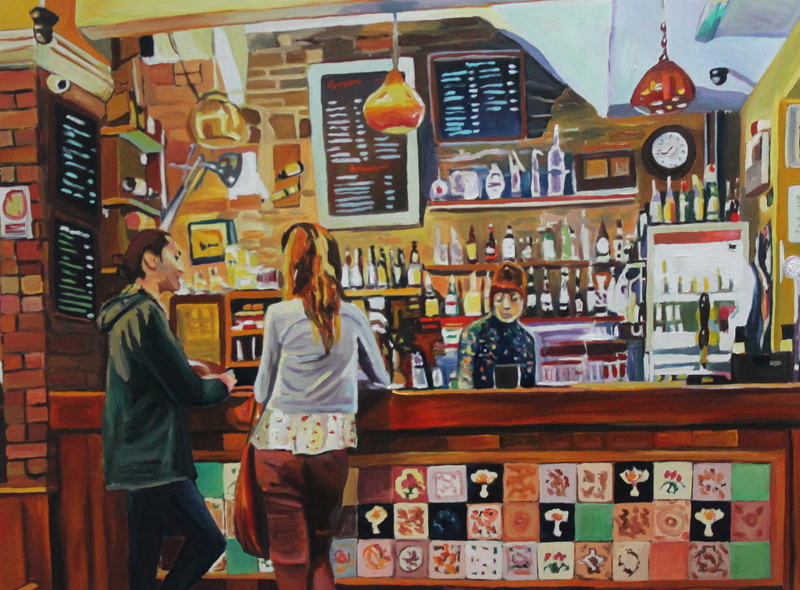 “A Bar at Noah’s Yard” – a centre piece painting, painted especially for my art exhibition in Noah’s yard in two weeks time! This painting of a well known bar in Uplands Swansea called Noah’s Yard, is modeled on the famous Manet painting “A Bar at the Folies-Bergère” but with two differences. The scene is now down town Swansea and the work is expressionist not impressionist. I love the use of expressionism in urban scenes as it can seem more vivid and dynamic, muscular and rhythmic, more funky even. thank you very much Mukul! What a colorful Pub.Love it. Thank you, its is beautifully decorated inside.